Last summer, I noticed that a college classmate had joined a Facebook group called Plan B, a group for “former and current newspaper and video journalism people” looking for a second act, a job match for their transferable skills, a support group or simply a hedge against the instability in the industry. I joined because I sensed that my job as a regional executive editor wasn’t going to be around much longer, and I knew that I needed to start coming up with my Plan B. I would need my Plan B much sooner than expected. It was clear that more cuts were to come last summer. In the almost two years that I held the job, there had been a straight-forward budget cut and a major reorganisation that was supposed to see us lose 15 percent of our payroll and 20 percent of our headcount. For a time due to existing staff getting promoted or deciding to part ways with the company, at one point last spring, we were almost 50 percent below our pre-reorganisation staffing. The budget was cut again before we filled any of the open positions due a miscalculation during the reorganisation planning. After months of recruiting and before we filled all of the open roles, a hiring freeze was implemented and an early retirement programme rolled out soon after. And then, last October, my role and another were eliminated. Fortunately, the very next week I had two gigs, which had been in the works for months, and shortly after that, I set up my own consultancy, which is a continuation of work that I did before the job. I’m thrilled to have some very exciting projects in the coming months (although I still have time for more so feel free to get in touch). Ultimately, I want a full-time role, but this work means that I have the breathing room and space to find the best job and the best fit. That space has been an incredible gift. It has allowed me to talk to a number of mentors and friends and think about all of my options. Compared to 2013, the last time I was looking for a full-time role, I’m actually more optimistic that I’ll be able to find the right role in journalism, but this is as good as time as any to think broadly. And this time like last, I’m thinking not just about the job but also about quality of life, closeness to friends and family and work-life balance. Reach out to your network – Last summer, I began reaching out to mentors and friends in the industry. It helped me get a head start on my job search, and if my friends aren’t in a position to hire me full-time, they still might be looking for a consultant with my skills and experience. But even if work isn’t in the offing, your friends will be a great source of support. I’ve been humbled at how much help friends have been in terms of brokering connections and helping me find new opportunities. Take a passion inventory – One person on the Plan B group worried that she would never find a job as noble as journalism. Many of us got into this business because of the mission, the public service mission. But there are a lot of ways to serve the public. What other passions do you have? Journalism may be a noble mission, but it’s an industry in crisis. At times, I have asked myself if it has become the professional equivalent of an abusive relationship. If your current job in journalism robs you of your life through endless hours of toil while still not providing you a livelihood, there is nothing noble in it. I have seen too many journalists grow bitter after years of sacrifice. This is a chance to write your own story. Have a FoF – Call it a rainy day fund, an emergency fund or something more colourful, but if at all possible, bank some money so when the axeman cometh, it isn’t an immediate sentence for financial ruin. Before you rush to the keyboard to protest, trust me, I know how hard this on a journalist’s salary, especially when you’re just starting out. When I landed my first journalism job at the Hay’s Daily News in Hays Kansas in the mid-90s, I was making $2000 less than a first year teacher – $16,900 if you must ask. That said, I’ll own my own advantage or privilege, I got my bachelor’s degree debt-free, but only because my parents started saving for college almost the day I was born. They had to start saving early because they were both teachers, so not the demographic definition of high net worth individuals. I learned to save from my parents. In an ideal world, I would have loved to have made the move on my own terms, but with the cushion my consulting has given me, I’m actually viewing this transition as a gift. I have recharged my batteries and am looking on my future as one of exciting opportunity. Without my Plan B, I would be consumed with stress and overcome with fear, and I would leap at the first opportunity whether it was the right one or not. Certainly, I’ll be happy when I’ve filled in some more blanks, but I’m doing the heavy lifting now to answer those questions. 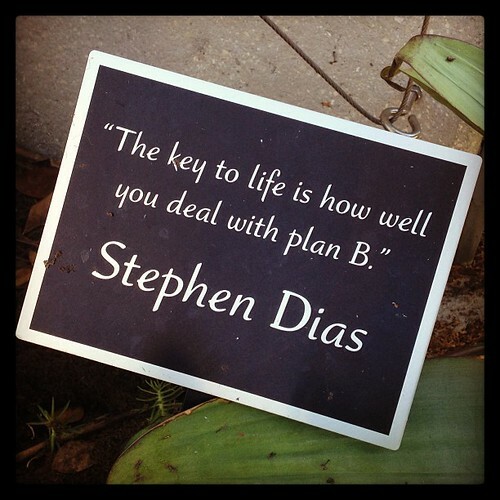 Ultimately, having a Plan B is about being prepared. With the industry in such turmoil, that doesn’t mean you’ll be able to control the outcome, but the outcome isn’t the loss of a job, it’s what happens next. Featured photo by Betsy Weber from Flickr. I know from my own recent job search how difficult it is to get that interview. Once you get an interview, you want to give it your best. From my own recent experience interviewing journalism candidates, I found that candidates, both starting out and experienced, were failing to put their best foot forward once they landed an interview. 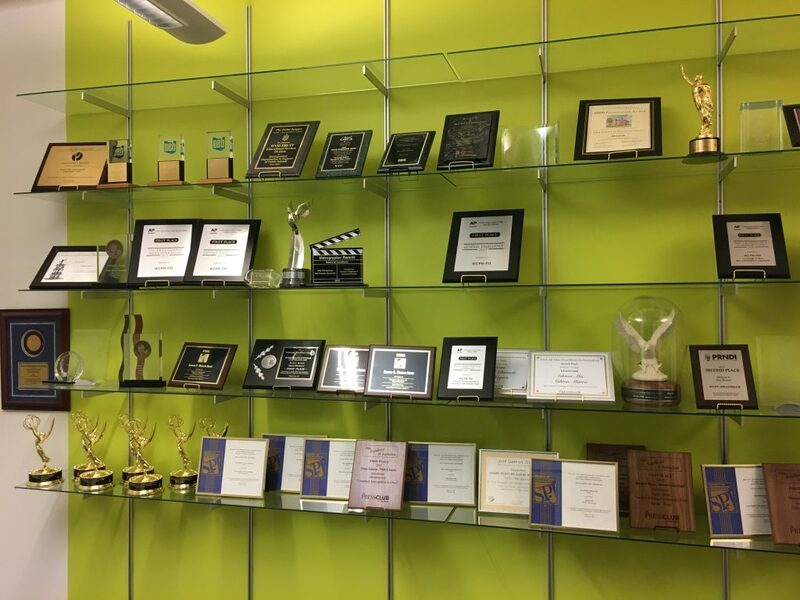 Since starting as executive editor for two newspapers in February, I’ve been through two interview cycles, one to fill the position of regional features editor and another for summer intern positions in both of my newsrooms. Now that I’ve conducted a couple of dozen interviews with candidates, I’m going to offer up some advice to job seekers. Most of this I would have thought obvious, but I have been shocked at how few candidates I interviewed came properly prepared. Come with story ideas. Whether it is for a reporter’s or an editor’s position, prepare detailed and relevant story ideas to discuss in the interview. For both the editor’s role and the summer intern position, I had people completely fail to bring story ideas. That doesn’t fill me with confidence in your interest in this position. Research my publications. Throughout my job search, when I got an interview I did as much research about the publications of my potential new employers as I could. Not only does this generate the story ideas mentioned above, it also allowed me to demonstrate some understanding, admittedly superficial, of the local news climate and the challenges facing the business. I was shocked when applicants hadn’t even bothered to look at my sites. Do a little research about the community. The more that you can demonstrate an understanding of the communities and audiences you will be serving, the better. An international business newspaper has a very different community to a local weekly, for example, and story ides for one may not work for the other. Researching the community will, again, help you come up with relevant story ideas. Bring ideas on how to build audience and yes, revenue. This isn’t a mistake, but in this competitive job market, this gets my attention. A couple of candidates for the regional editor’s position highlighted this in their resumes and cover letter, and it immediately got my attention. Although both were ultimately unsuccessful, this got my attention. In 2014, a journalist needs to know and care about the business. I would have thought that most of this was Job Search 101, but I was surprised at how poorly prepared some of the people who applied for jobs at my papers were. One applicant for the regional features editor’s job didn’t even seem to be aware of the job she had applied for, saying that she wanted to be a features or opinions editor. Within a few minutes it became obvious that she was neither interested in nor prepared for the interview. It was a first round interview to winnow the field, and she definitely made my job easier. In both interview cycles, we ended up with great candidates who made the final choice very difficult. The successful candidates came to the interview with energy, knowledge of the papers and community, and great story ideas. The journalism job market is very tough. I know: I spent six months last year looking to move from media consultancy back into a full-time newsroom leadership position. It was a lot harder to get interviews this time round than was back in 2006, the last time I was looking for a job. So when you do land that interview, you really want to nail it. I don’t think that any of the advice above is earth shattering, but based on interviews I’ve conducted recently, it either isn’t universally known, or candidates think they don’t have to bother. But if you really want that job, then a little legwork up front will pay big dividends when it comes to the interview. I’m doing a new round of interviews for a reporting position in one of my newsrooms. We’ve already had a number of strong applicants, but if you have a passion to create the future of local journalism, then I want you to apply. I’ll be starting the first round interviews soon so don’t delay.